Application deadline is February 4th, 2019. Apply online here. REU students enjoying the Colorado environment. 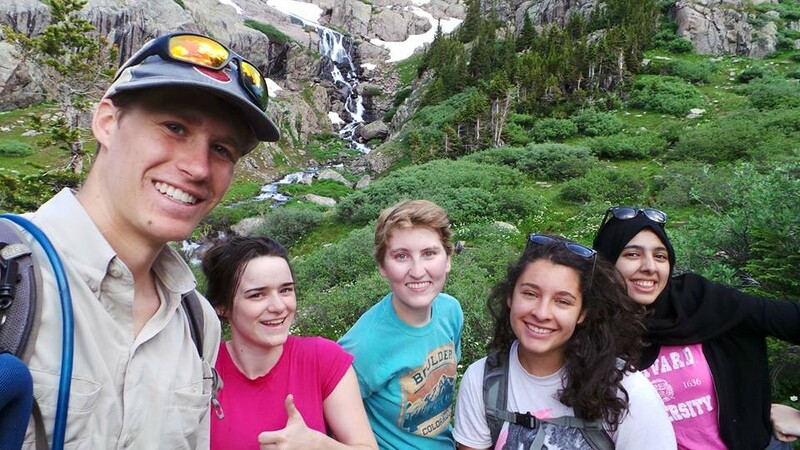 The program begins with a week-long summer school in solar and space physics and continues with seminars and discussions while you work at one of the participating laboratories, providing peer collaboration opportunities. At the end of the summer, you will present your research findings. 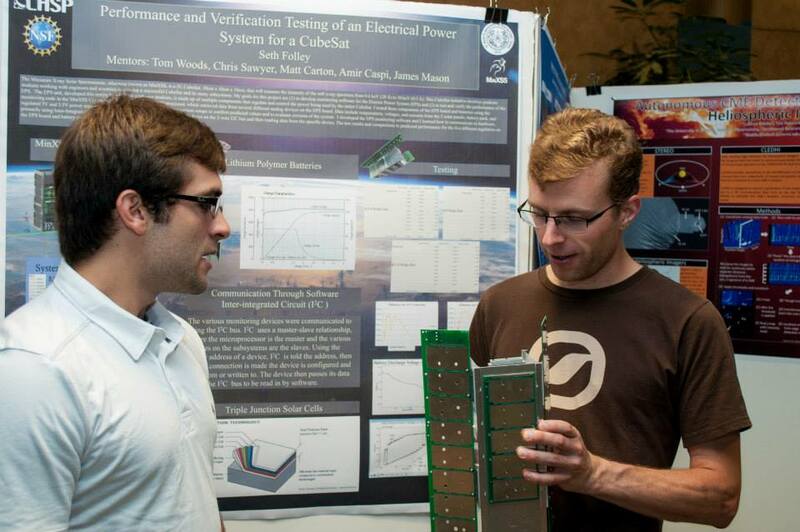 An REU student explains his cubesat power system design to a scientist during the final poster session. US citizens who are current undergraduate students at 2- or 4-year institutions. Foreign students may also apply, but admission will be dependent upon funding. No previous research or programming experience is necessary, and there is no minimum GPA requirement. $500/week, plus apartment-styled dorm housing and a food allowance. A travel stipend of $600 will also be provided. Frequently Asked Questions about the application and/or the program itself.